Everytime I see Alice + Olivia’s lookbook, I find a new definition of Bohemian. Its initial collection of low-rise, well-fit pants in vibrant shades and prints made Alice + Olivia famous, but the brand make more bohemian breakthrough. In their Spring 2016 lookbook, the new wave of boho chic features lively florals and breathtaking, delicate silhouettes made anew with pops of color. 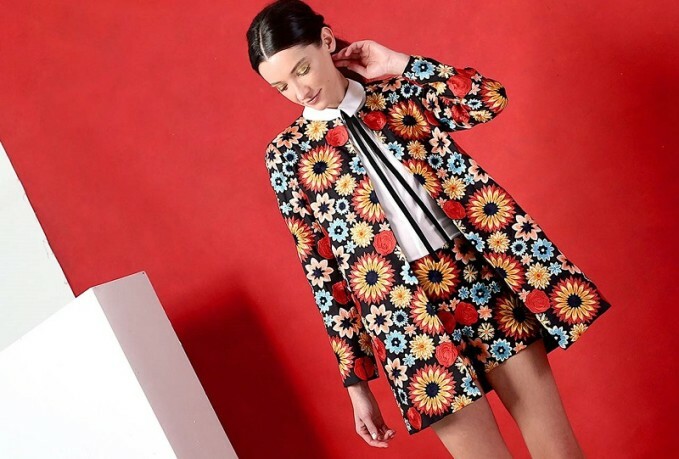 Shop Alice + Olivia Spring 2016 collection at Neiman Marcus. 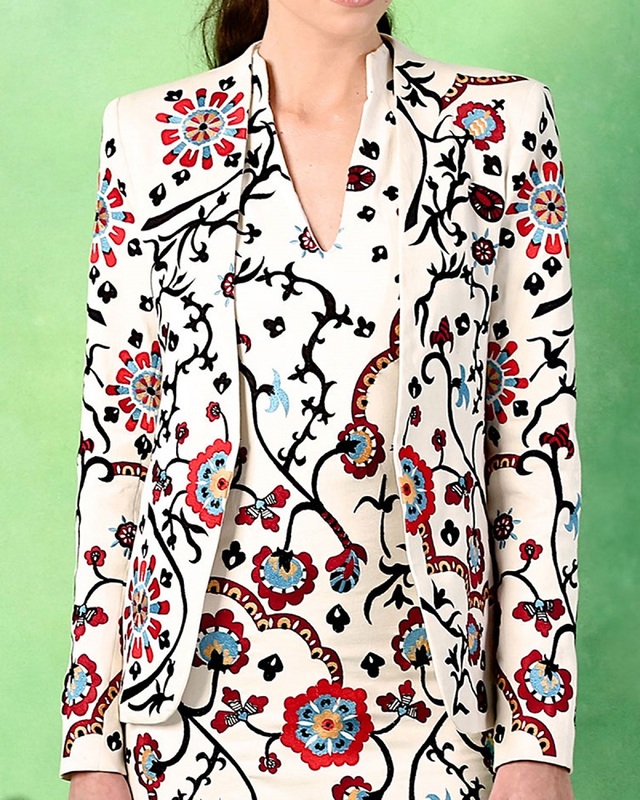 A mod-squad take on Spring suiting with bold paisley. More is more! 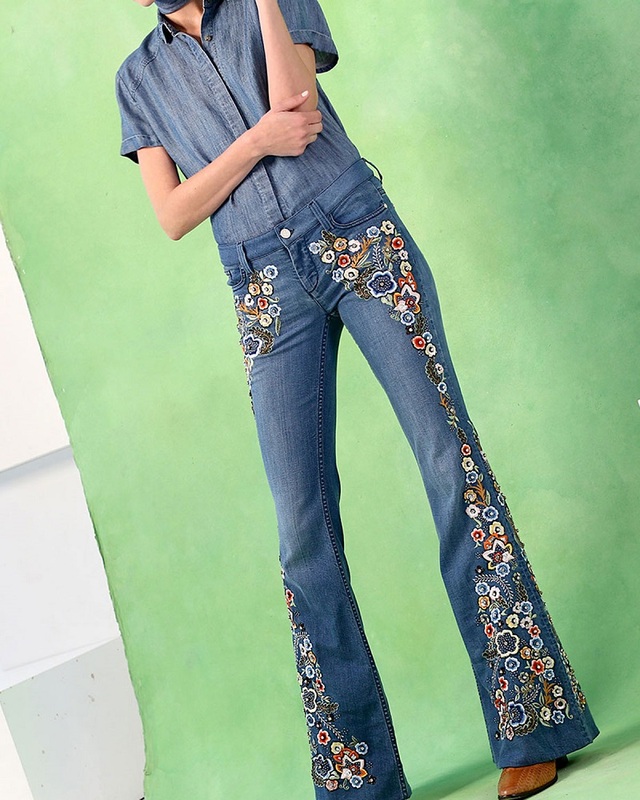 Flared denim brings on the embellishment. Traveling vines and bright floral print energize a body-con silhouette. Playful cutouts bring bohemian romance into the now. Beaded silk and layers of red take a wide-leg look from day to evening. Scrolls and fleur de lis finish a goddess-like silhouette. Black and white and right on trend. A prim-and-proper silhouette with flower-child cred.